The Sustainable Districts Platform (or Lingkar Temu Kabupaten Lestari / “LTKL”)is a membership based coalition with Kabupaten, represented by Bupati, as its members. LTKL intends to connect the dots and create impactful partnership to wards sustainable jurisdiction focusing on land-use, within and between Kabupaten through innovative convening method. A ‘Sustainable Jurisdiction’ will balance environment, social and economy aspects within its policy, planning and programs with concrete goals to (i) increase GDP of districts, (ii) alleviate poverty and (iii) moving towards zero deforestation and peat. 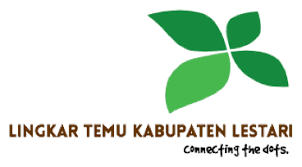 LTKL is supported by a Partners Network which provide strategic support (in-kind and resources) and guidance to Lingkar Temu Kabupaten Lestari through its national and direct district’s engagement. At this moment, LTKL has eight districts as the members and 11 organization as the members. LTKL is also supported by a Secretariat team responsible to facilitate, monitor and report on LTKL strategic activities through an integrated platform. It will also be in-charge to conduct strategic research and analysis on building blocks for sustainable land-use. One of the expected functions of LTKL is to ‘connect the dots’ between stakeholders. To date, LTKL Secretariat have attempted to create a shared, safe and innovative solution-oriented circle of discussion among its members and partners to objectively analyse progress, opportunities and challenges in implementing sustainable vision through district leadership. It also aims to enhance interconnection between the group.For this purpose, LTKL Secretariat intends to construct LTKL related analysis on documents and materials to strengthen LTKL’s Researches for the period of2018-2020 with specific activities outlined for the period of 2018, taking in to account LTKL 2030 long term development target. Design, develop and finalize LTKL Analysis on the requested matters and materials for the development of LTKL’s materials and data including to thedistricts unit relations for the period of 2018-2020 with specific activities outlined for the period of 2018, taking into account LTKL 2030 long term development target. Research components to identify updated issues and information for the secretariat LTKL advantages. Assisting on the proposal development process of secretariat by supporting thedata and information. Experiences in supporting or preparing related materials for the development of information. Experiences in deliveries of good quality data / information on the related topic of LTKL (as requested per issues when necessary). Understand sustainable development context and the districts needs especially in peat area. Proven ability to deliver high quality outputs on time. Excellent communication skills in Bahasa Indonesia and English as well as well-developed interpersonal skills. Junior Research Consultants is expected to start immediately. Contract duration covers the period of September 2018 – July 2019, full time work as consultant. Extendable based on performance evaluation and program needs. Junior Research Consultants will report on monthly basis to the Head of Secretariat of LTKL and provide input and suggestions for the researches materials. Junior Research Consultant will be stationed in Jakarta, with travels is necessary based on the needs to the relevant districts. The names and addresses of three referees, including telephone, fax numbers and email addresses.